The first unboxing pictures of the upcoming Google Nexus One phone has been leaked via djrobrob on twitter. 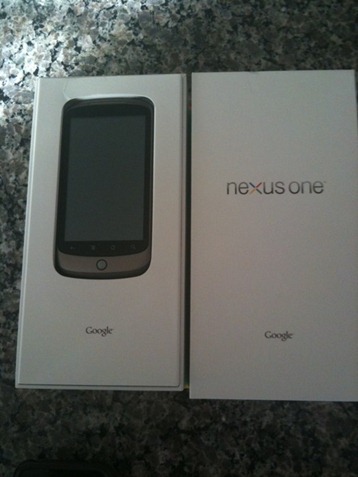 The design of the box is very Google-like with white background color, and “Nexus One” and “Google” branding in black to go on top of it. 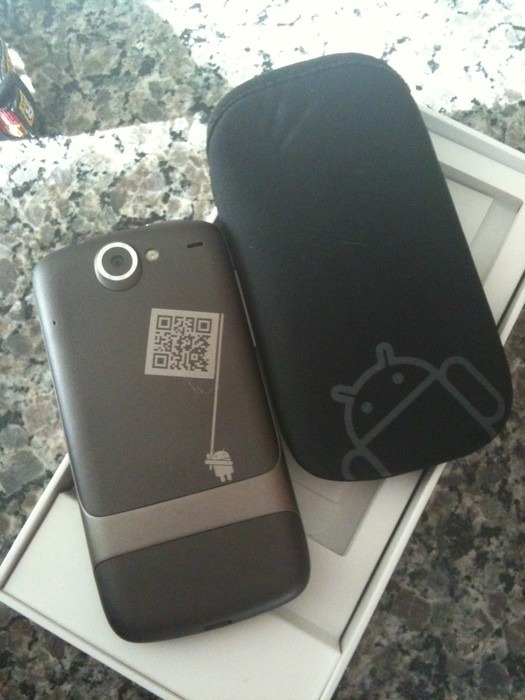 Though the design of the box may not be the final thing, it leaves little to no doubt that this phone is indeed going to be a Google branded phone. For those of you who missed out on our earlier coverage, Nexus One is the name of the Google phone which has been designed by the folks at Google, and the hardware is manufactured in partnership with HTC. It looks a hell alot like HTC Passion/Dream which is also slated or 2010 launch. 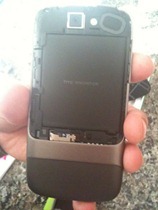 Nexus One, like Xperia X10 and HTC HD2, will be powered by the Snapdragon 1Ghz processor and it will ship with the latest Android 2.1 OS as preinstalled. 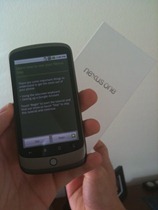 Google is expected to announce the availability of Nexus One phone soon, with the rumored launch data of January 5th and a price tag of US $199 for the subsidized version.